This recipe from wailana is one that my aunt made for us after coming out of the hospital, so it reminds me of hope, new health, and it tastes better than any restaurant! Thanks to frozen for sharing this recipe. 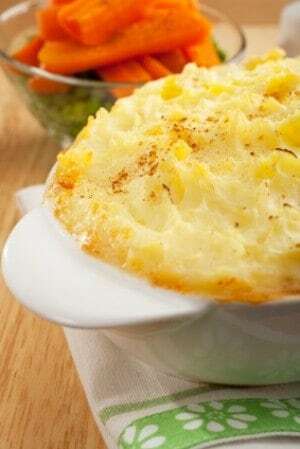 Nothing says comfort like a homemade potato pot pie. Boil the potato until just tender. Drain and mash, then mix in 1 tablespoon of the oil and the mayonnaise, salt, parsley, and pepper to taste. Set aside.2. Meanwhile, heat the remaining 2 teaspoons oil in a nonstick skillet and sauté the vegetables covered on medium heat until tender. Add a little water if needed to prevent sticking and cook until well dried up. Set aside. For the gravy, combine the first 6 ingredients in a medium saucepan and toast on medium heat, stirring constantly, until light golden. Remove from the heat. In a medium bowl whisk together the mayonnaise, aminos, maple syrup, lemon juice, and water. Return the toasted ingredients to the stove on medium heat and add the wet ingredients, whisking well to combine. Preheat the oven to 350°F. Place the sautéed vegetables in an 8x8-inch oiled baking dish and pour the gravy over the top. 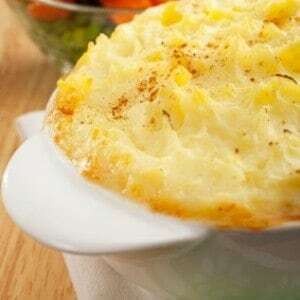 Carefully cover with the mashed potato, spreading evenly. Sprinkle with paprika. Bake for 20 minutes until heated through.